Alliance for Lobbying Transparency (ALT) - An alliance of civil society groups concerned about the growing influence of professional lobbying on Government decision-making and life in the UK. Annan Plan for Cyprus - Official United Nations website of the Secretary-General's comprehensive peace plan for Cyprus - the Annan Plan. Also see Wikipedia. Aspen Institute - Activities, including seminars, policy programs, conferences and leadership development initiatives on strategic international and national economic and political issues, provide opportunities for the Aspen community to come together and openly and freely debate in a spirit of nonpartisanship and open-minded dialogue. It is an nternational network which consists of other centers - independent but coordinated - in various parts of the world: Italy, Germany, France, Japan, India, Romania, and the United States. Building Human Security in Indonesia - A research and policy program sponsored by Harvard University's Program on Humanitarian Policy and Conflict Research. Carnegie Council for Ethics in International Affairs (CCEIA) - A leading voice promoting ethical leadership on issues of war, peace and global social justice. Carnegie Moscow Center - Public policy research institution focused on the core problems of Russian domestic and foreign policy. Centre of International Relations (CIR - Slovenia) - Promotes co-operation with similar institutions, in publishing, organising conferences and workshops, consulting and performing other professional activities in the field of international relations. Changemakers - An initiative of Ashoka - Innovators for the Public that focuses on social entrepreneurship. Its mission is to provide inspiration, resources, and opportunities for those interested in social change throughout the world. Chatham House - One of the world's leading organizations for the analysis of international issues. Chicago Council on Global Affairs - The Council provides members, specialized groups and the general public with a forum for the consideration of significant international issues and their bearing on American foreign policy. In over 150 meetings annually, including lectures, seminars, conferences, publications, a travel program and other activities, the CCFR seeks to represent all sides of complex issues on the global agenda. Chiefs of State and Cabinet Members of Foreign Governments - Indexed at the Refdesk.com site. CIA World Factbook - Prepared by the Central Intelligence Agency (CIA) for the use of U.S. Government officials. Each country profile tracks such demographics as population, ethnicity and literacy rates, as well as political, geographical and economic data. Bartelby.com also has the World Factbook along with search engine. Columbia International Affairs Online (CIAO) - Comprehensive source for theory and research in international affairs. CIAO was developed as a collaborative effort between the Columbia University libraries and Columbia University Press with a grant from the Andrew W. Mellon Foundation. Crimes of War Project - A collaboration of journalists, lawyers and scholars dedicated to raising public awareness of the laws of war and their application to situations of conflict. Its goal is to promote understanding of international humanitarian law among journalists, policymakers, and the general public, in the belief that a wider knowledge of the legal framework governing armed conflict will lead to greater pressure to prevent breaches of the law, and to punish those who commit them. Council on Foreign Relations (CFR) - Dedicated to producing and disseminating ideas so that individual and corporate members, as well as policymakers, journalists, students, and interested citizens in the United States and other countries, can better understand the world and the foreign policy choices facing the United States and other governments. EUROPA: Debate Europe - Discussion site. European Stability Initiative (ESI) - A non-profit research and policy institute providing in-depth analysis of the complex issues involved in promoting stability and prosperity in South Eastern Europe. ESI promotes discussion and debate among the policy community. To this end, all ESI publications are widely distributed and available on its website free of charge. Fletcher Forum of World Affairs - The student-managed foreign policy journal at The Fletcher School of Law and Diplomacy. The publication provides a broad, interdisciplinary platform for analysis of legal, political, economic, environmental, and diplomatic issues in international affairs. Focus on the Global South - A program of development policy research, analysis and action. Focus engages in research, analysis, advocacy and grassroots capacity building on critical issues. It was founded in 1995 and is currently attached to the Chulalongkorn University Social Research Institute (CUSRI) in Bangkok, Thailand. Focus' goals are the dismantling of oppressive economic and political structures and institutions, the creation of liberating structures and institutions, demilitarization, and the promotion of peace-building instead of conflict. Foreign Affairs - A leading forum for serious discussion of American foreign policy and global affairs, published by the Council on Foreign Relations. Foreign Policy in Focus (FPIF) - FPIF provides timely analysis of U.S. foreign policy and international affairs and recommends policy alternatives. Geopolitical Futures - Analyzes and forecasts the course of global events. Georgetown Journal of International Affairs - In-depth analysis of key issues as well as nine regular sections: Books, Business & Economics, Conflict & Security, Culture & Society, Law & Ethics, A Look Back, Politics & Diplomacy, Science & Technology, and View from the Ground. German Institute for International and Security Affairs (Stiftung Wissenschaft und Politik) - An independent research centre that advises the German Parliament and the German Federal Government on all matters relevant to German foreign and security policy. Global Policy Forum (GPF) - Monitors policy making at the United Nations, promotes accountability of global decisions, educates and mobilizes for global citizen participation, and advocates on vital issues of international peace and justice. Humanitarian Policy and Conflict Research (HPCR) - A research and policy program based at the Harvard School of Public Health, HPCR is a multidisciplinary enterprise dedicated to promoting human security by transforming institutional mindsets on conflict prevention toward people-centered strategies. The program is committed to empowering the academic community, governmental and international institutions, and civil society to address new challenges in the fields of humanitarian affairs and conflict prevention. If Americans Knew - "In analyzing the American media, we are increasingly discovering a cover-up of appalling proportions. Israel is being protected, the news about Palestinians in particular and Arabs in general is being distorted, and the American public is being manipulated. We believe strongly that if Americans knew the truth about Israel and Palestine - about the massive amount of our tax money that is being given away to Israel, and about the human costs of Israel's American-financed militarism - they would demand an immediate re-thinking of our policies in this region. It is the goal of If Americans Knew to inform the American public accurately about this area. Most of all, it is to inform Americans about our enormous, and too often invisible, personal connection to it." Independent Diplomat (ID) - Offers expert and impartial advice and assistance in diplomatic strategy and technique to governments, political groups and NGOs. ID work particularly on conflict areas and issues under discussion at the UN and other international bodies. ID is an independent organisation, not connected to any government or international institution. ID helps only those who support democracy, human rights and the rule of law, and who do not promote unlawful violence. Interhemispheric Resource Center - Provides independent, well-researched analysis of U.S. foreign policy, rooted in progressive values, with an emphasis on fostering strategic dialogue among academics, grassroots advocacy organizations, and policymakers. International Affairs Resources - This section of the WWW Virtual Library system presents over 2000 annotated links in a range of international affairs topics. International Commercial Diplomacy Project (ICDP) - Publishes instructional material in commercial diplomacy. International Crisis Group - World's leading independent, non-partisan, source of analysis and advice to governments, and intergovernmental bodies like the United Nations, European Union and World Bank, on the prevention and resolution of deadly conflict. International Forum on Globalization (IFG) - A North-South research and educational institution composed of leading activists, economists, scholars, and researchers providing analyses and critiques on the cultural, social, political, and environmental impacts of economic globalization. 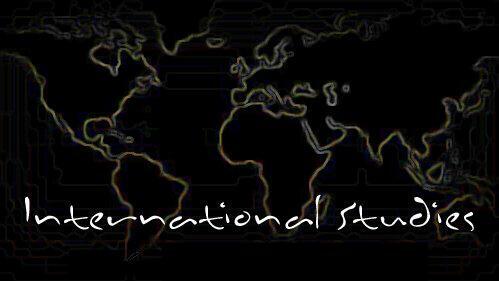 International Relations and Security Network (ISN) - International affairs. International Relations Center (IRC) - Questions the U.S. role in world affairs while making concrete suggestions for better foreign policy and highlighting successful efforts by civil society that make a real difference. IR and All That - David C. Hendrickson's blogging on classic readings in international relations. Jamestown Foundation, The - Launched in 1984 after Jamestown's late president and founder William Geimer's work with Arkady Shevchenko, the highest-ranking Soviet official ever to defect when he left his position as undersecretary general of the United Nations, The Jamestown Foundation rapidly became the leading source of information about the inner workings of closed totalitarian societies. Over the past two decades, Jamestown has developed an extensive global network of experts -- from the Black Sea to Siberia, from the Persian Gulf to the Pacific. This core of intellectual talent includes former high-ranking government officials and military officers, political scientists, journalists, scholars and economists. Journal of International Affairs - A leading foreign affairs periodical edited by the graduate students at the Columbia University School of International and Public Affairs. Just Foreign Policy - Believes that eventually the United States must move towards a more multilateral approach to foreign relations - one that relies less on raw U.S. military and economic power and more on international law and treaties, co-operation, and diplomacy. Our goal is to accelerate this transition through education, organization, and mobilization of concerned citizens. Master of Public Policy - Online guide to Master of Public Policy programs, schools, careers, and news. Munk Centre for International Studies - Toronto, Canada. An internationally recognized leader in interdisciplinary academic research on global issues and to integrate research with teaching and public education. Monterey Institute of International Studies (MIIS) - Recognized as one of the most academically prestigious language and international policy studies schools in the country. National Archives and Records Administration (NARA) - Independent federal agency that preserves U.S. history by overseeing the management of all federal records. Also, see Access to Archival Databases (AAD) System. National Committee on United States-China Relations - Creates opportunities for informed discussion and reasoned debate about issues of common interest and concern to the United States, the People's Republic of China, Hong Kong SAR and Taiwan. Office of U.S. Foreign Disaster Assistance (OFDA) - The office within USAID responsible for facilitating and coordinating U.S. Government emergency assistance overseas. As part of USAID's Bureau for Democracy, Conflict, and Humanitarian Assistance (DCHA), OFDA provides humanitarian assistance to save lives, alleviate human suffering, and reduce the social and economic impact of humanitarian emergencies worldwide. Pacific Council on International Policy - The western partner of the Council on Foreign Relations (New York). Palestinian Academic Society for the Study of International Affairs (PASSIA) - Seeks to present the Palestinian Question in its national, Arab and international contexts through academic research, dialogue and publication. PASSIA's projects include a series of seminars on Diplomacy and Protocol, Strategic Studies, the European Community, and Education on Democracy. Program on International Policy Attitudes (PIPA) - Carries out research on public opinion on foreign policy and international issues by conducting nationwide polls, focus groups and comprehensive reviews of polling conducted by other organizations. Research Centers in International Relations on the Web - Compilation of links maintained by the U.S. Institute of Peace. Richard Kimber's Political Science Resources - Directory to major political and governmental sites around the world. RAND Research Area: International Affairs - RAND's research comprises a range of cross-cutting issues, including global economies and trade, space and maritime security, diplomacy, global health and education, nation building, and regional security and stability. RAND also analyzes the policies and effectiveness of international organizations such as the UN, NATO, European Union, and ASEAN. Resources for the Study of International Relations and Foreign Policy - Texts, documents, useful links compiled by Vincent Ferraro. Rulers - Lists heads of state and heads of government. S. Rajaratnam School of International Studies (RSIS) - Research and graduate teaching institution in strategic and international affairs in the Asia Pacific. School of Advanced International Studies (SAIS) - Loacted in Washington, D.C., SAIS is a leading graduate school of international affairs, educating students for professional careers in government, business, journalism, international law and non-profit organizations. Founded in 1943 by Paul Nitze and Christian Herter, SAIS has been a division of Johns Hopkins University since 1950. School of International and Public Affairs (SIPA) - Columbia University. Each year SIPA hosts dozens of lectures by leading scholars and practitioners in the fields of international affairs and public policy, covering topics as diverse as economic development, human rights, climate change, urban policy, and international finance. Many of these events are recorded and posted here. Setting Priorities for Preventive Action in Nepal - A research and policy program sponsored by Harvard University. Sister Cities International (SCI) - Citizen diplomacy network creating and strengthening partnerships between U.S. and international communities in an effort to increase global cooperation at the municipal level. Strategic Culture Foundation - Provides a platform for exclusive analysis, research and policy comment on Eurasian and global affairs. Publishes analytical briefs and commentaries of independent contributors from the U.S., Canada, India, Russia and Europe. The National Interest (TNI) - A leading journal of international affairs. National Interest articles are regularly excerpted in newspapers and magazines from the New York Times to Korea's Shin Dong-A, and from the London Spectator to Austria's Europaische Rundschau. Third World Quarterly - Examines all the issues that affect the many Third Worlds and is not averse to publishing provocative and exploratory articles, especially if they have the merit of opening up emerging areas of research that have not been given sufficient attention. Trilateral Commission - A non-governmental policy-oriented discussion group of about 325 distinguished citizens from North America, the European Union and Japan. United Nations (U.N.) Home Page - 185 countries belong to the United Nations. University of California International and Area Studies (UCIAS) Digital Collection - The Digital Collection publishes articles, monographs, and edited volumes that are peer-reviewed according to standards set by an interdisciplinary UCIAS Editorial Board and approved by the University of California Press. UCIAS makes digital versions of these works available free of charge to a global network of scholars and encourages international intellectual exchange and research collaboration. USC Center on Public Diplomacy - Aggregates news and information from original in-house writers and news sites around the world. Voltaire Network International - A web of non-aligned press groups dedicated to the analysis of international relations. Founded by French intellectual Thierry Meyssan. Watson Institute for International and Public Affairs - Supports multidisciplinary research, teaching, and public education on international affairs. From Brown University. Weatherhead Center for International Affairs - The largest international research center within Harvard University's Faculty of Arts and Sciences. Sponsors a wide array of seminars, research programs, workshops, and conferences. Web Sites on National Parliaments - Links to national parliaments and to regional and international parliamentary institutions. William Polk - Expert in Middle East, much of Africa and Asia. Wilson Center - The mission of the Center is to commemorate the ideals and concerns of Woodrow Wilson by fostering research, study, discussion, and collaboration among a full spectrum of individuals concerned with policy and scholarship in national and world affairs. World Affairs - Bimonthly international affairs journal. World Affairs Council of Northern California - A non-profit, non-partisan educational organization devoted to engaging the public in a discussion of the trans-national issues of tomorrow. It serves its 10,000 members and the general public throughout Northern California and beyond. World Population Data Sheets - Contain historical and latest population estimates, projections, and other key indicators for 200 countries, including births, deaths, natural increase, infant mortality, total fertility, life expectancy, urban population, HIV/AIDS prevalence, contraceptive use, GNI PPP per capita, land area, and population per square mile. Also see the U.S. and World Population Clocks. World Security Network - Global-elite action network for foreign and defense affairs. WWW Virtual Library: International Affairs Resources - Presents over 2600 annotated links in a wide range of international affairs, international studies, and international relations topics. Yale Journal of International Affairs - ublishes articles, interviews, and op-eds by academic scholars, think tanks, policy practitioners, and advanced graduate students on international affairs topics with implications for policy. Student-run. This webpage last updated on Thursday, November 9, 2017 2:29 PM.